Yayyy! You’re about to enter the magical state of wedlock. You are too excited and want to create a wedding invitation card worth remembering. But have you thought about the actual process or how to put your thoughts into action? Yes, you need to make the effort of getting it printed on time and sending it across to relatives and friends with the required information. Though there’s no hard and fast rule when we speak about wedding invitations, the process is bound to make you anxious. 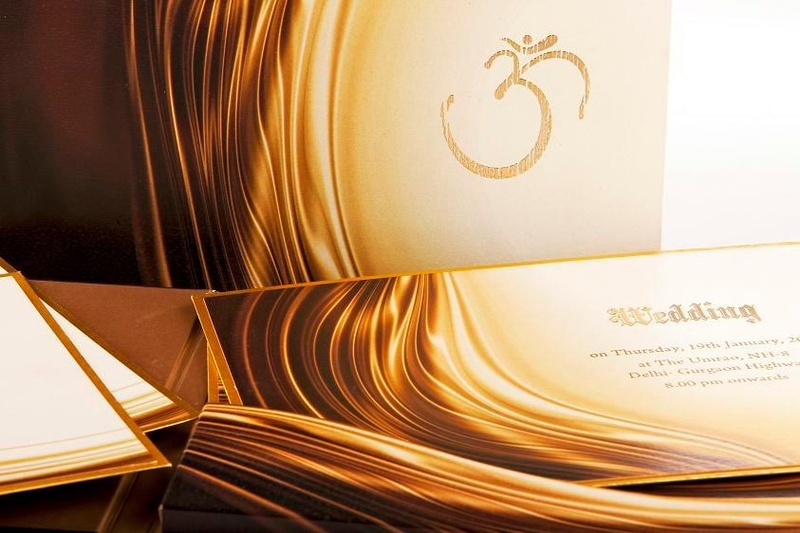 Here are a few do’s and don’ts before sending out those wedding invitation cards for printing. The most important thing is to proofread your invitation cards carefully. You don’t want to discover grammatical errors once you’ve sent those invitations to your guests. Also, make sure your language is consistent throughout; even the simple commas, hyphens and colons matter a lot. Get one of your family members or a friend, who have a way with words to proofread for you. Before printing it, make sure to check on a word doc for a spell check. Having the ideal colour and scheme for your wedding invitation allows the guests to get a sneak peek into how your wedding day is going to be before the actual day arrives. Try to incorporate the colour scheme of your wedding décor into the invitation card. A fancy invitation card is not very helpful if the timings are incorrect or not mentioned. Indian weddings are full of fun and grandeur; including functions like mehendi, sangeet, haldi, etc. You need to make sure that the right timings and venue details are mentioned on these cards to avoid inconvenience to your guests. Ok, we are not talking about the Atlas from our Geography books in schools. You can include a small map, directing everyone to the venue. A map is a better option than written directions, which are at times difficult to comprehend. Weddings usually consist of innumerable guests and there are bound to be last-minute additions to the guest list. So, make sure you order and print 20-30 extra invitation cards, just to be on the safer side. Do not send the invitations a few days before the wedding. It will be a problem for guests to make it at the last minute, especially for the ones travelling from other cities. Invitations should go out, at least, a month or a month and a half before your wedding day. Make sure you don’t write over the envelope as it may damage the card inside. If you still need to, it’s better to write on the envelope before you place the card. Your invitation card should provide just the necessary information. Including a lot of words and avoidable information makes your invitation card look unappealing. It also might lead to the guests overlooking the essential information. Instead of printing the name of the guests on the invitation card, it is best to write their names on the envelope yourself. It shows that you have put in some effort for each card and makes the guests feel special. From the very beginning, tell them whether you want the RSVP through a phone call, text or email. This way, you’ll know how many guests have confirmed to attend the event and you don’t have to panic at the thought of not having an approximate number of guests attending the function. You don’t need to go berserk over the invitations. Remember, you only have that one glance from the guests to make a great first impression. Your invitations are a trailer of what is to come on your wedding day; make sure it reflects that vision.